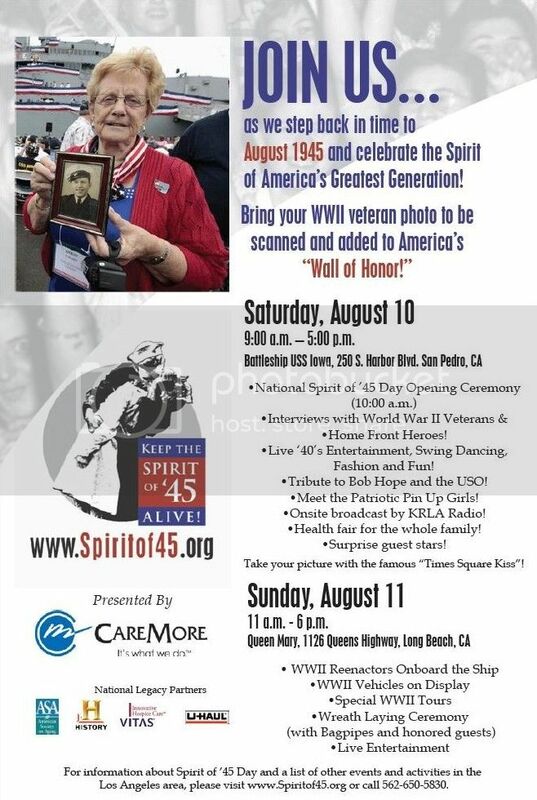 The organizers of the Spirit of 45 that is coming on August 10 and 11 are greatly enthused about us being there especially at the Battleship Iowa. They really appreciate that we are going to be there in our PS battle dress regalia including unloaded firearms. Remember, this event is solely dedicated to the timeframe we specialize in and I hope that many of us show up in our best impression of a WWII Philippine Scout. The organizers are planning to have this yearly so it is really neat to have this platform to keep the legacy of our Philippine Scouts going and I really see it going stronger year after year. We have a covered booth and a table, we might get more too. Already the following have indicated that they'll be there; Robert Tidwell as Gen. MacArthur, Monty Hom, Frank Lopez, Gil Mislang. I know more will join us as I think going there to see the insides of the Battleship Iowa (we'll take turns, 1-2 hrs each) will be a nice side benefit for going. 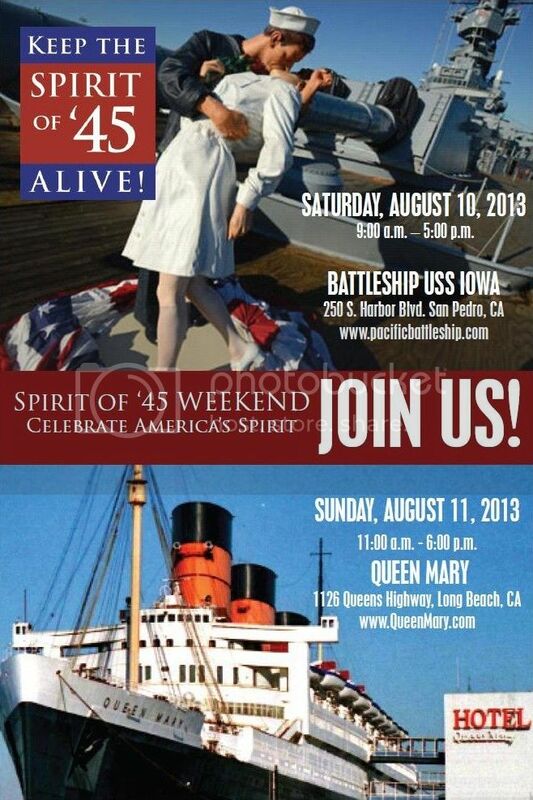 And I guess this could be for Sunday on the Queen Mary too. C'mon guys, we are wanted to be there so lets bring our best impressions and we'll meet a lot of people we can educate about those we honoring, the US Army's Philippine Scouts. BTW be ready to answer many questions about the PS, also be ready for interviews as there may be many local and national news media people. The organizers of this event have a website, you'll be amazed at what goes on around the country on this weekend. BTW we will bring exhibitry for the table, any suggestions or just bring what you think will interest the public. I will bring many things and also some posters which I have to find a way to not get knocked down by wind. Let me know if you'll be joining asap. Sandwiches and drinks will be there for us, we "the Chapter" won't let you guys that show up go un-nourished but maybe it'll be a better impression (for the Battlin' Bastards of Bataan) if we don't feed you (just kidding, I'll collapse if I don't get any food every three hours). Pictures from the Spirit of 45 event.